When the folks at Red Heart sent me a big box of yarn this non-knitter/non-crocheter was pumped! Just because I don’t use a hook or needles does not mean I do not love a good yarn craft. Especially when the yarn is pomp-a-doodle as in yarn with built in pompoms. Oh this stuff has some serious possibilities. 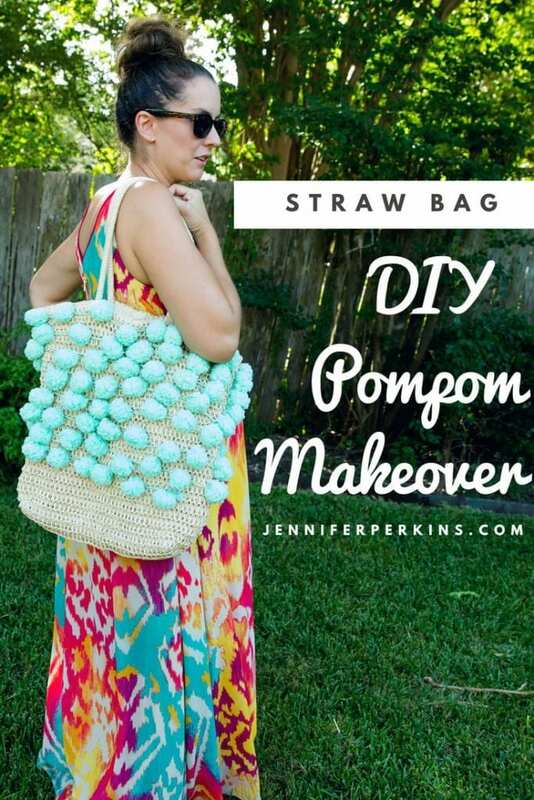 I just happen to have a naked straw beach bag on hand that needed a makeover so the timing was perfect. Making pompoms can be time consuming. A skein of readymade poms could be a real blessing for so many different types of crafts. I could have zipped through my pompom pillow, table top Christmas tree made of yarn and pompom covered wreath with some of this yarn! Pomp-a-doodle comes in several different color combinations and solids. Fingers crossed they come out with Halloween and Christmas colors. Oh the crafts I could make with those! Anyway, I opted for the light blue since it seemed beachy like my bag. I was unsure of how I was going to get the pompom yarn attached to the bag. Sure cutting the pompoms off the yarn and gluing them to my bag was an option, but I wanted to try and weave them in. Plus I like the look of the cording between the pompoms. You need the right beach bag for this job. 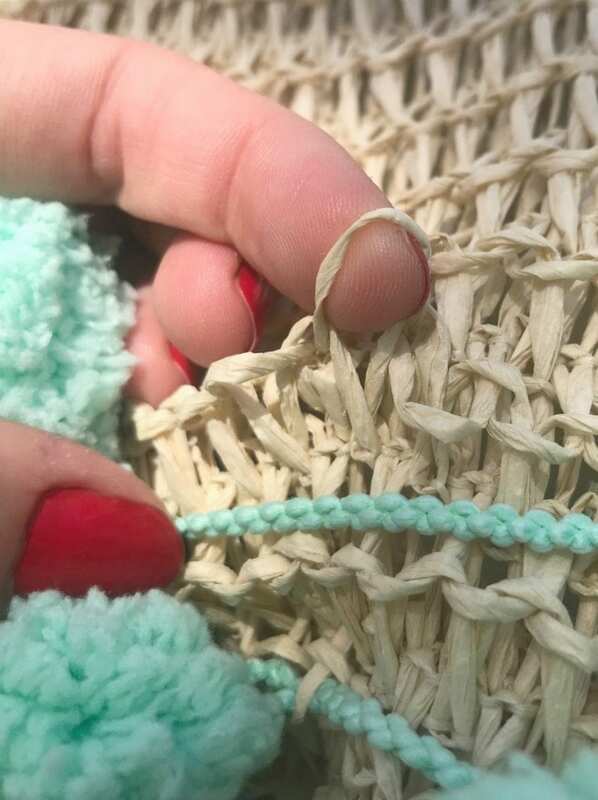 The woven straw beach tote I had has loops that I could easily use to weave, knot or tie. 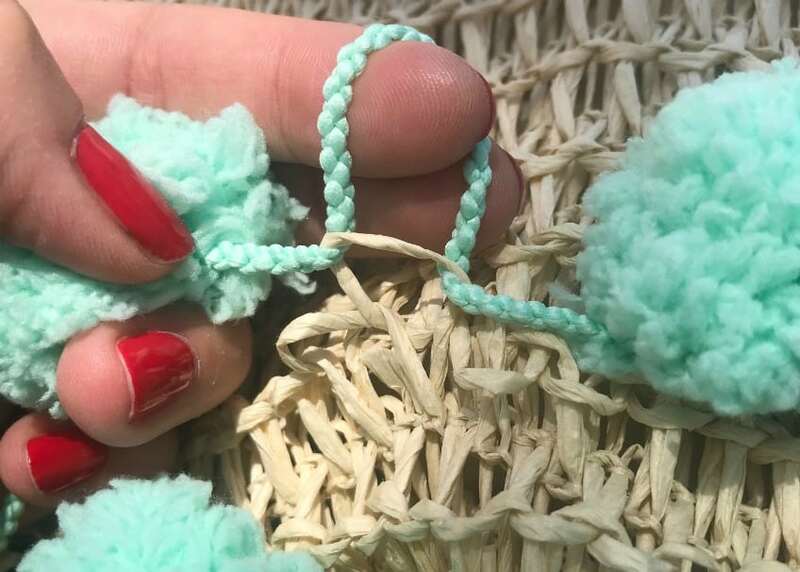 There is about 2″s of cording between each pompom in Pomp-a-Doodle yarn. 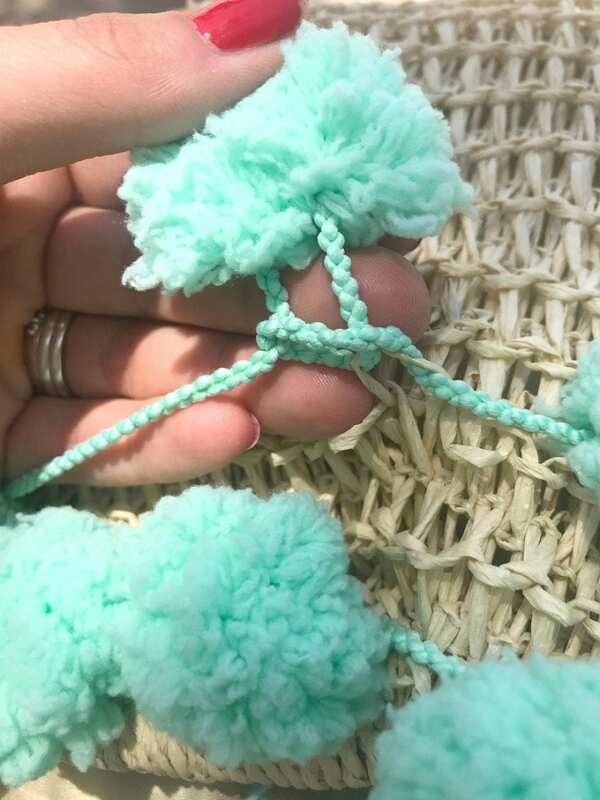 The knotting for this beach bag is done with the yarn between the pompoms. Pull a loop of cording through one of the spaces in the woven bag making a U shape. Pull the next pompom on the yarn through the loop of yarn cording. This will make a knot. Continue this with every few loops in the weave of the straw bag. How many spaces you leave will depend on the bag. 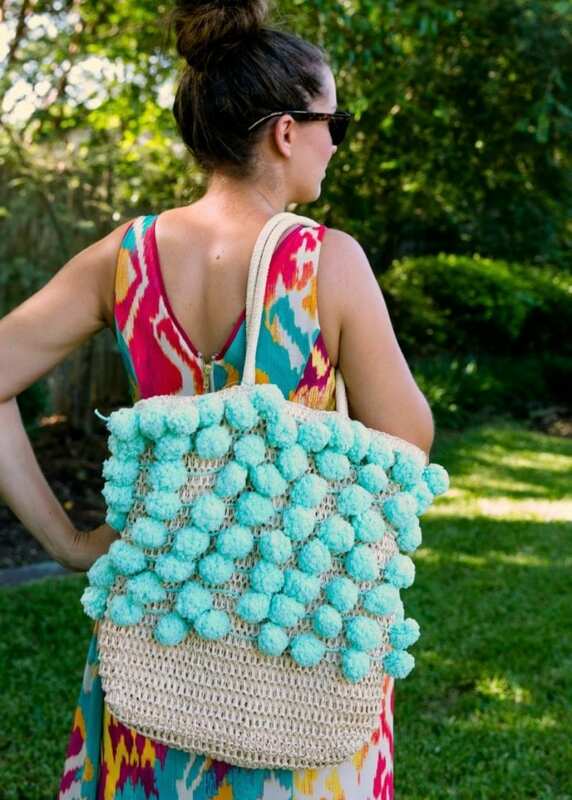 How much of your beach bag gets a pompom makeover is up to you. Cover the entire thing, just the very top or maybe half. I’m a fan of more pompoms myself, but then of course I am. 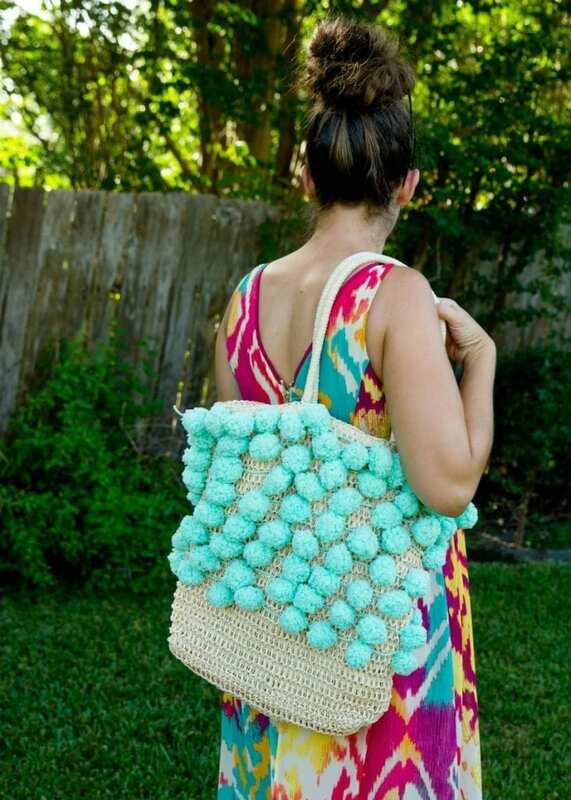 Want More DIY Beach Bag Embellishment Ideas? Keep Reading! 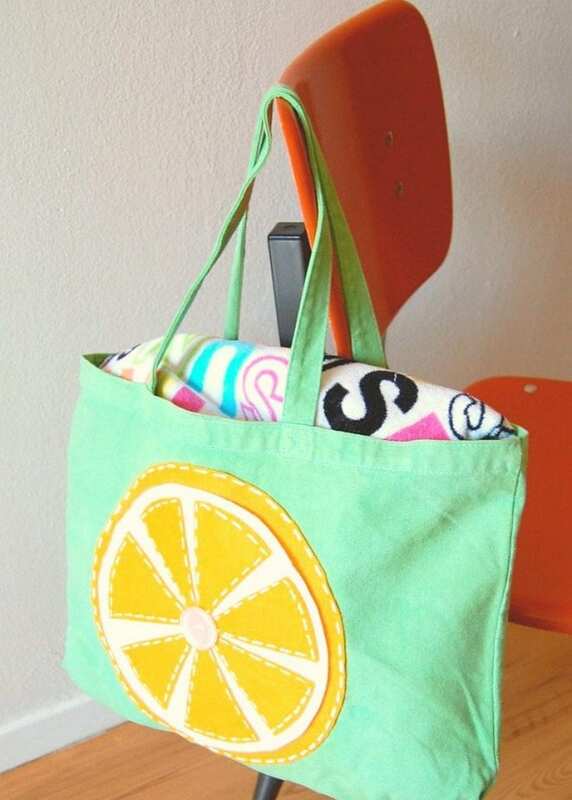 Slice of Citrus Tote Bag – How about adding a fruity felt appliqué with faux stitching to your favorite beach bag. 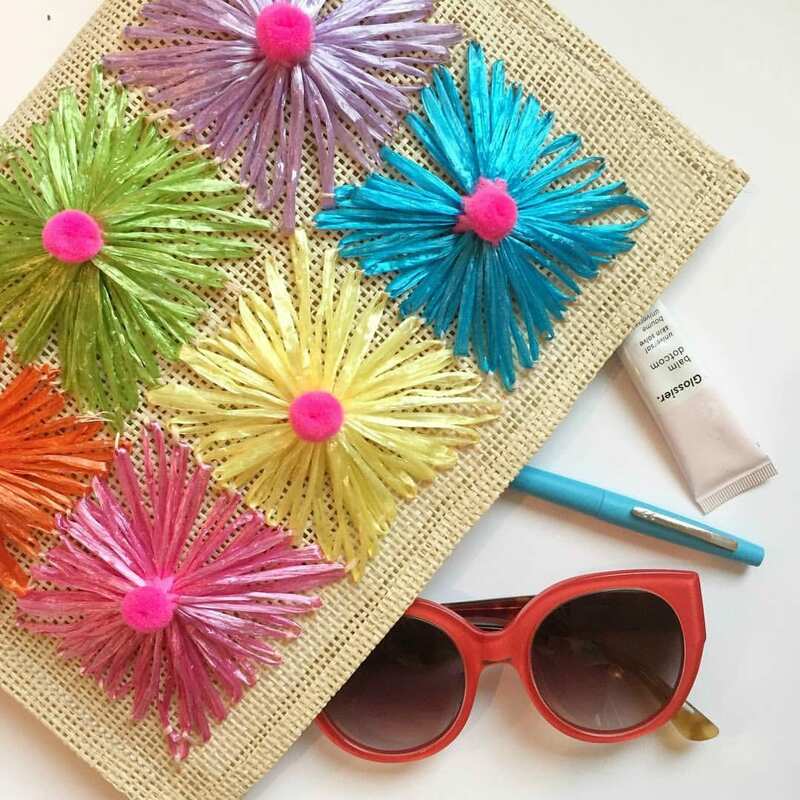 Retro Flower Looms Give Bags a Groovy Summer Makeover – Another idea for upgrading a plain straw beach bag is by making a bouquet of straw flowers. 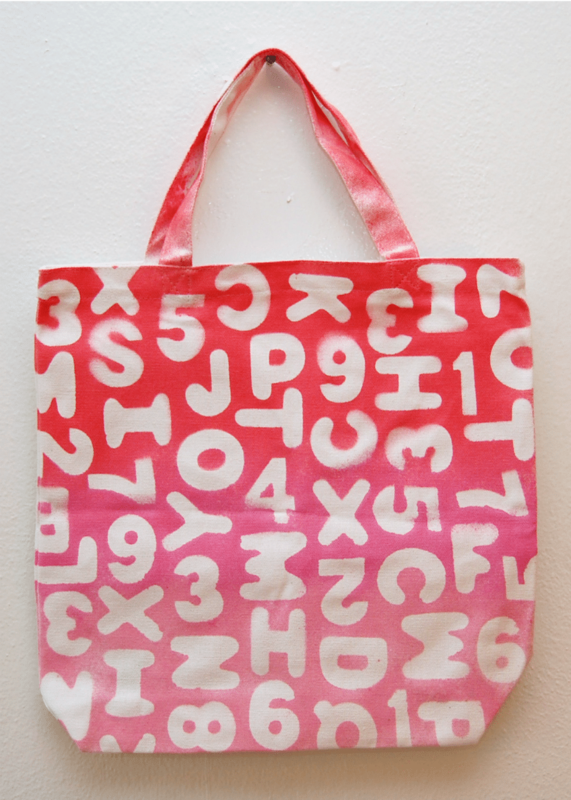 Ombre Sticker Resist Tote Bag – The wonders of foam stickers as a paint resist never cease. Try it for an easy tote bag upgrade. Posted August 9, 2018 & filed under Crafts, Wearable Crafts. Oh, so fun! Will have to find some of that pom pom yarn. Bag looks great! Visiting from Dishing It Digging It party. Omgosh, how cute is this?! 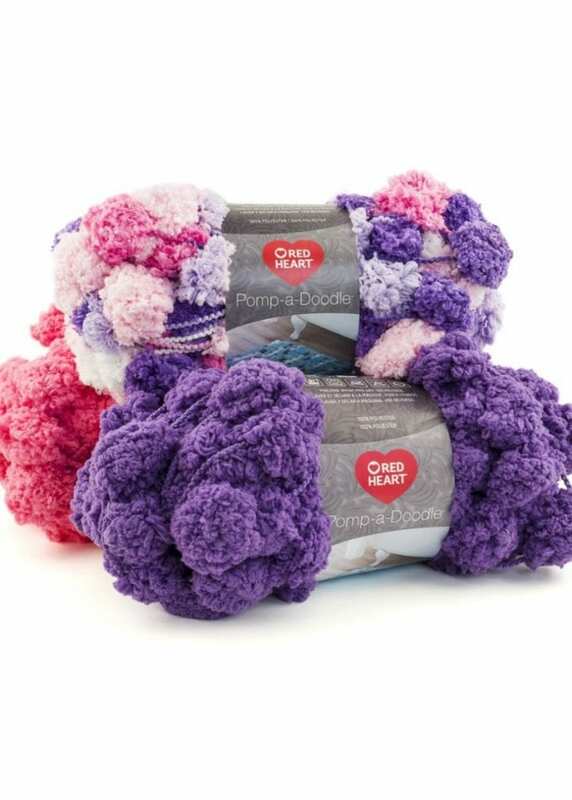 I didn’t even know pom pom yarn existed and will have to hunt this down in the craft store.